Given the diversity of this part of the world, the following update provides a snapshot of capital project activity and market updates for three countries in the Asia-Pacific region—Australia, China, and India. IPA has an established track record of working with various process and manufacturing industry clients throughout the entire region, especially in Australia and China. IPA has recently begun increasing its presence in India and is currently conducting project market research in the country. 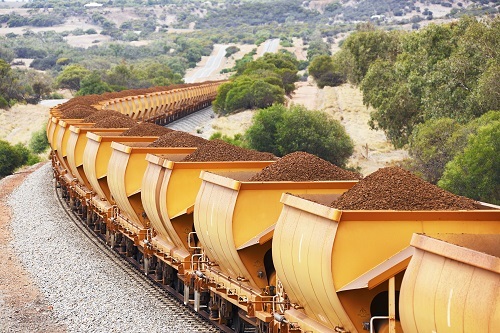 Stability in commodities prices—namely iron ore, copper, gold, and coal—is driving increased confidence in the mining, minerals, and metals (MMM) market in Australia. Notably, iron ore supply remains steady, and gold producers in Australia have been doing well. Meanwhile, copper producers are gearing up for an expected market under-supply in 2018 through 2020. However, we are still some time away from renewed large growth capital investment. While global exploration spend declined 26 percent in 2014, some MMM companies are now positioning themselves for growth, bringing forward studies and trials on key opportunities to benefit from the slowdown. IPA data indicate that equipment costs have fallen. Wage deflation of about 20-30 percent has been reported in the MMM Industry. In addition, mining companies continue to tweak their operating models to reduce costs. Meanwhile, technology and integration of operations remain a strong focus for larger miners and a means of streamlining processes and expenses. In addition, indications earlier in 2016 that China would curb coal output is expected to inject life in the coal industry. Prices have already significantly increased over the last few months. Recent coking coal spot contracts have been signed at US$200/tonne compared with US$81/tonne earlier this year. China used to be the land of bulk production of commodity product for export. This would then be value-added processed (addition of UV resistance, flame retardation, and hardening or softening) in other areas of the Asia-Pacific region such as Japan, Taiwan, and Korea. In more recent years, China has found it to be increasingly difficult to remain cost-competitive in global commodities. Therefore, China is diversifying. Most projects in China in the 2017-2020 timeframe will be focused on specialty and consumer products. This may be in the form of moving the value-added processing from Japan, Taiwan, and Korea to China; expanding capabilities of existing facilities; or in the delivery of new products geared specifically to the domestic China market. As China shifts from an export and low-end, low-cost manufacturing base to a domestic-demand and service-based economy, there are other issues for the processing industries. Once the backbone of China, low-wage construction labor has become unreliable as workers choose to pursue jobs in the services sectors in the largest, wealthiest cities over field work. Engineering talent, once focused on the industrialization in China, is turning to IT, leaving a shrinking pool of talented engineers for the oil, gas, mining, and chemicals industries. This is leading to increases in costs for engineering construction management. Project management costs are increasing as well, such as for procurement and QA/QC activities. Moreover, added expenditure is necessary for expediting and monitoring vendors who are rapidly losing engineering capabilities. IPA works with clients in China to accommodate a wide range of business models and strategies for plant operations. While clients that are just beginning to invest in China are concerned with understanding the best structures for contracting, owners with more experience with capital projects in the country are seeking detailed data, such as construction labor productivity and wage rate disparity region by region. New and experienced owner companies alike are focusing on organizational structure issues. Key organizational structure questions clients are asking IPA for the answers to are: What is the proper size and expertise for the owner project organization? What are the key activities that must be kept in-house on projects in China? What sort of engineering organization best fits the current China environment—central or local? Capital project activity is expected to increase in India, driven by continued economic gains, lower oil prices, and tax reforms. Thanks to the nation’s continued economic growth, a number of infrastructure projects supported by the Indian government are underway. Billions of dollars are expected to be spent on projects in various industrial sectors, including the oil and gas, refineries and petrochemicals, and power sectors. Reducing the likelihood of performance and operability problems necessitates a better understanding of Best Practices for capital project delivery in India today. Of the global companies that have announced plans to start or increase capital investments in India, many can expect challenges in delivering their projects effectively. Initial IPA research indicates that construction management is an area of weakness in India. Construction delays regularly lead to execution slip. 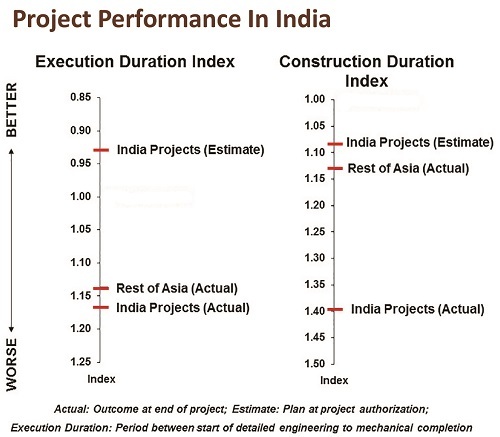 More than half of projects in India miss their schedule target. Part of the problem is that project managers are often willing to risk schedule slip due to the availability of inexpensive labor. Permitting and procurement issues, undue stakeholder influences, and logistics are among other challenges owners face in delivering projects in India. Capital projects in India clearly present new and unique challenges to companies with regard to the planning and development of capital projects. From the opportunity assessment phase to Front-End Loading to execution, project teams want to know what practices they should follow to execute cost- and schedule-efficient projects in India. IPA is now taking a more in depth look at how companies can increase the effectiveness of their capital spending in India. IPA is studying the performance of recent projects, investigating India-specific practices that affect performance, and identifying key success factors for projects in environments similar to India and then determining the applicability of these factors to projects in India. IPA has already made some general observations: Like many projects located around the world, owner company project teams working on projects in India are having difficulties framing capital projects. In addition, costly construction challenges are arising because not enough front-end planning is being done before funds are authorized for execution. This regional update was prepared in collaboration with IPA analysts and regional experts Tas Hellis (Australia), Greg Ray (China), and Manoj Prabhakar (India).